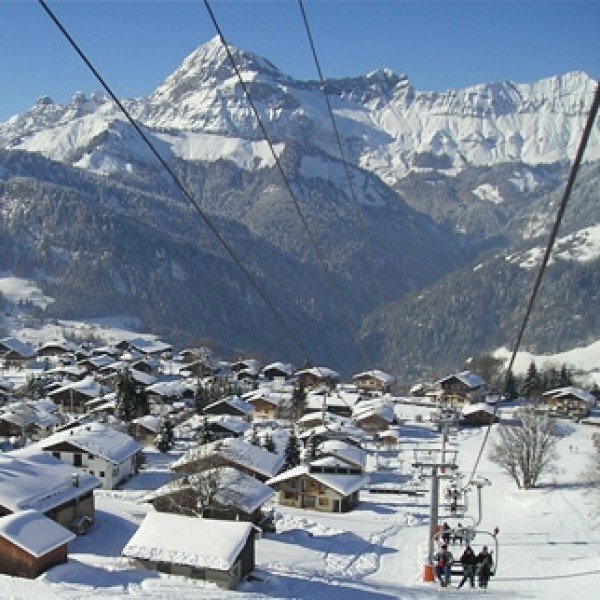 Elevated between 4101 ft and 10663 ft, the Ski Resort is among the 10 highest elevated Ski Resorts in France. The vertical drop from summit to base is 6562 ft. The average difference in altitude between base and summit of Ski Resorts in France is 2848 ft. Most runs are therefore relatively long. 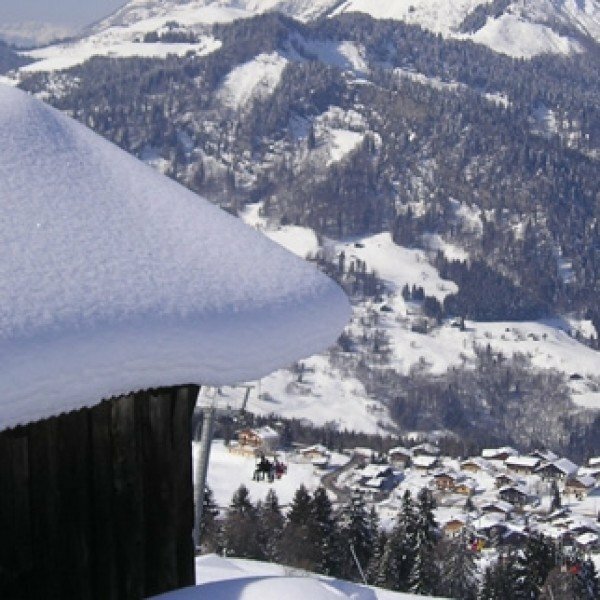 Being part of the greatest skiing region in Europe, Crest Voland Cohennoz provides great opportunities for both skiers and snowboarders. Since the resort has been a skiing destination for more than half a century it combines its rustic ambiance with a newer and more modern flair. 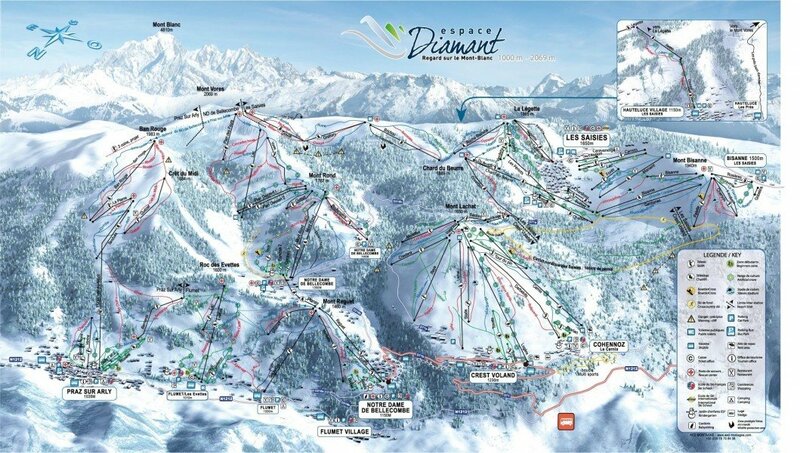 The resort offers 90km of groomed ski runs, designed not only for novices but winter sports enthusiast of all abilty levels. Adressing snowboarders in particular, Crest Voland Cohennoz has a snowpark as well as a boardercross area. For the more adventurous there is also the possibilty of skibiking, a relatively new wintersport to France. A number of 39 ski lifts ensure a fast and safe ascension, whilst the skiing back to the resort is – at a height of 1500 m above sea– normally possible. Other winter activities such as Nordic Skiing or Snowshoeing contribute to the diversity of Crest Voland Cohennoz. Being part of the Nordic Ski area used for the 1992 Winter Olympics, the cross-country trails of Crest Voland Cohennoz are a must for beginners and experts of Nordic Skiing. 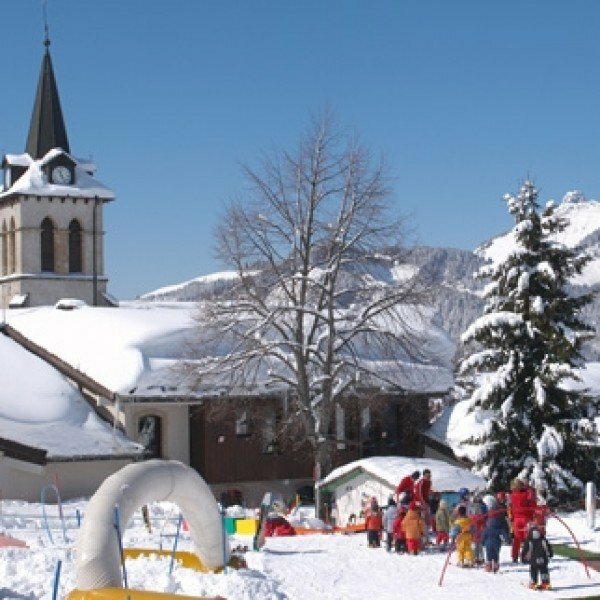 Families are warmly welcomed and especially children, who can participate in ski schools or fun events, are looked after.